I know, the gnomes know, everyone knows! You've put off getting all your Christmas shopping done...again! And what's more traumatic than not being able to give people things they don't need. Well, fear not, the gnomes have rounded up a few last minute gift ideas this year and thanks to desperate retail businesses they'll practically hand deliver before Christmas for free at this point. 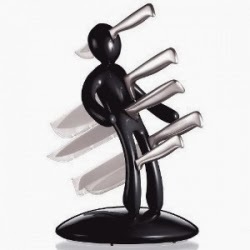 For those of you with irrepressible anger issues, this knife set is perfect. Give it to your boss, your ex, your hair stylist that thought your hair was her impressionist painting homework by accident. For those of you down South, you should go retro with a nice vintage toy. They made a hundred variations of these type of toys down there. I will caution that if you're caught carrying this anywhere north of say Georgia, you'll probably be beat up by the over-reactive politically correct people or by African-Americans still mad that Obama cannot get Congress to do much of anything. 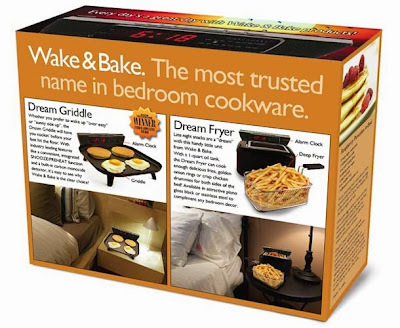 Have macho friends you just have to give a gift to despite yourself? Go with something truly awkward like these Ken-doll like merman ornaments. 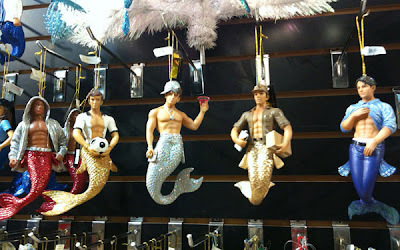 Then you can refrain from that smile each year as you ask to see them on his tree during Christmas visits. And for that divorced female friend of yours...A night buddy that she actually doesn't want to strangle in their sleep. Yes, thanks to VE, you'll have all your Christmas shopping completed. That arm is creepy. Wait. They're all creepy. Evil Twin is altering her list. 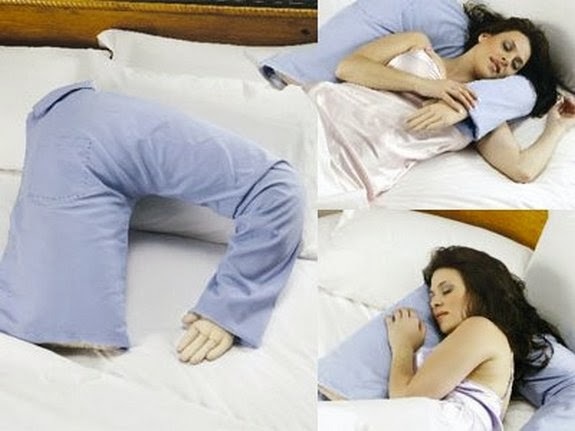 I realize this is the sad pathetic side of me talking, but that arm pillow is actually pretty cool. The choir boy candles made me laugh out loud... so many reasons. And the fact that the owner never actually lit the candles, realizing how awkward it would have been.